Full range of optical spectrum analyzers for spectral measurements in CWDM, DWDM, and ROADM testing-based systems, providing true OSNR measurements based on the unique VIAVI in-band OSNR method. 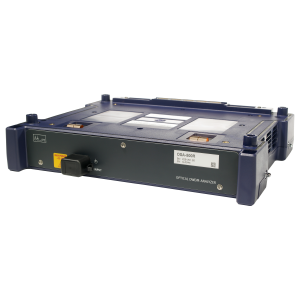 VIAVI offers a full range of OSAs tailored for spectral measurements in CWDM systems in the access network as well as DWDM systems in high-speed backbone networks with datarates up to 40Gbps or 100Gbps. The range features an OSA for ROADM testing-based systems, providing true OSNR measurements based on VIAVI’s unique in-band OSNR method.